Active listening is a communication technique that helps increase understanding and rapport between a speaker and a listener. 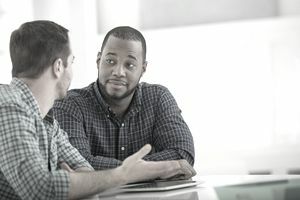 Rather than passively listening to the person talking (or not listening at all), the active listener pays close attention to the other person's choice of words, their tone of voice and their body language (which accounts for at least 80% of communication). The speaker takes in all these components and then repeats back to the speaker the most important points the speaker was touching on. Active listening is extremely helpful in building rapport between the listener and speaker. This shows the speaker that the other person is truly paying attention, which is especially important in the sales world. Prospects are often ignored or talked over because the focus is on making the sale, not the person making the purchase. When salespeople show they value the prospect's needs and opinions, it is far easier to build trust and ensures that the conversation results in a mutually beneficial experience. This approach is also one key way to avoid miscommunication, because the listener sums up the conversation, reiterates back the key points, and the speaker is afforded the opportunity to correct anything that was not clearly understood. Focusing on the other person goes far to avoid throwing the sales cycle completely off track or foster resentment between the salesperson and the prospect. The most obvious time to engage in active listening takes place during "qualifying and answering objections" stage of the sales cycle. This is not to say those seeking to "seal the deal" should close their ears or shut down their brains during other stages of the process. Often a salesperson's prospect will spontaneously offer useful information critical to identifying their wants and needs (and most importantly objections). The stereotypical salesperson talks all the time, but if that’s how you sell, you’re missing out on significant opportunities. A commonly-heard bit of sales advice is, "You have two ears and one mouth—you should be using them in that proportion." Spend twice as much time listening as talking. Prospects will drop clues as to what they’re thinking and how they’re feeling about you and your products or services. They’re telling you what they like and dislike and what’s important to them. This is precisely the information you need to close the sale, so by not paying attention, you’ll have to work a lot harder to make the sale. Few people (and fewer salespeople) are naturally good listeners. It will take time and effort to break the bad listening habits you’ve developed, but the rewards are equally significant. Using active listening with a prospect accomplishes two things. First, you will fully understand what the prospect has told you and you can use those clues to successfully close the sale. Second, you’ll be demonstrating respect for your prospect, which gives you a huge boost in the rapport-building department. One of the most common barriers to good listening occurs when you hear something interesting and immediately start framing a reply or planning what you’ll do about what you’ve just heard. Of course, while you’re thinking about what the other person has said, you’re now tuning out the rest of what they’re saying. One trick to keep your mind on the speaker is to mentally echo what they’re saying as they say it. When someone else is speaking, listen with your eyes as well as your ears. Body language is as important to conveying meaning as is spoken language, so if you listen but don’t look you’ll miss half the message. Once the speaker has finished talking, briefly summarize what they’ve said. For example, you might say “It sounds like you are happy with your current model, but you wish it were a little smaller because you have limited available workspace.” That shows the speaker that you were listening, and also gives them a chance to correct any misunderstandings right away. Summarizing the speaker’s meaning will also tend to draw out more details (“Yes, and I’d also like it in red…”) that can help you tailor your pitch more effectively.